I know that Triumph is seen by many as the red-headed stepchild of the Raleigh family, but this "Sebring 200" intrigued me enough that I drove an hour to get it. I just don't see many 10 -speeds of any make from the 50's or earlier. The seller insisted that it was from the 50's based on the head badge style & color. I had my doubts until I saw the oil ports on the BB and both hubs, the (right side) lamp boss & bracket, and the 27 x 1-1/4" chrome Dunlop rims. I don't recognize the hub logos. 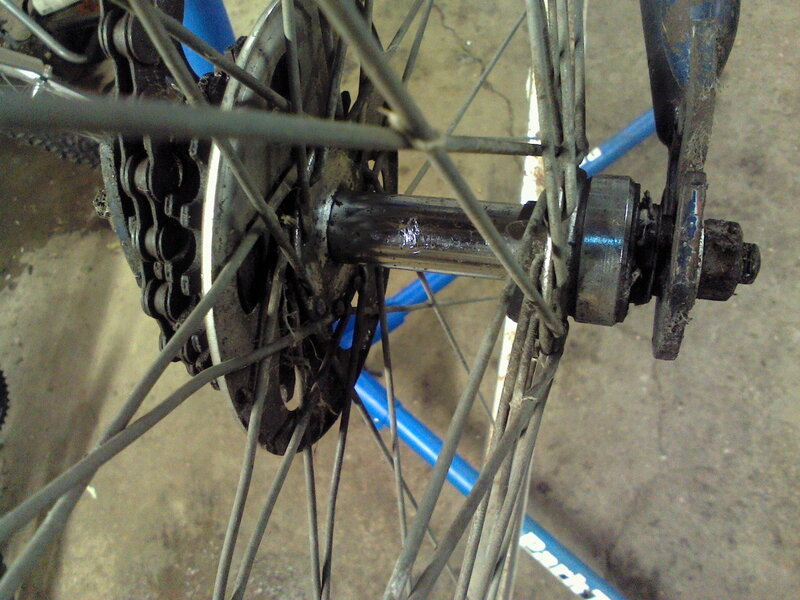 The single chainwheel is interesting but not original, as far as I can tell. 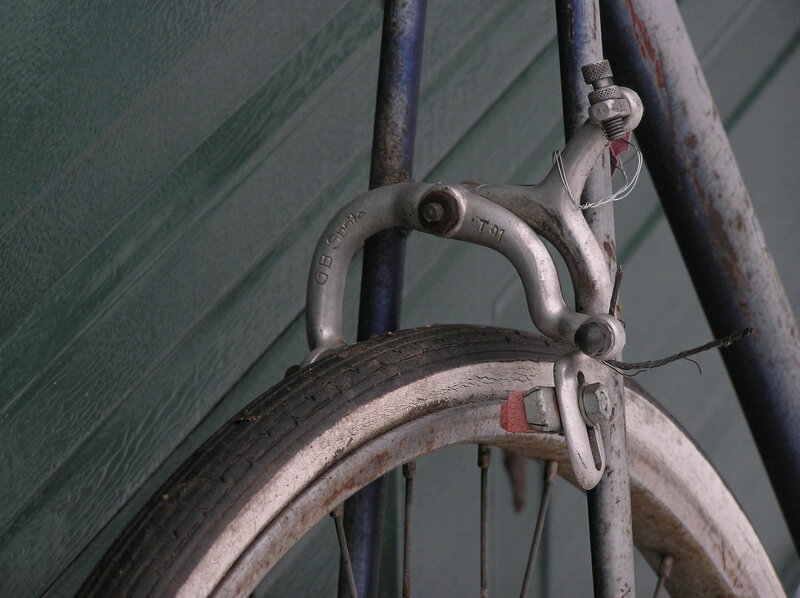 I would guess the bike is from around 1960 at the latest. What say ye? Nice find. I think the frame is the same as the Raleigh Grand Sport. I don't know, but I'll guess early 60s. Looks pretty similar to the 68-72 Carlton . That is a very interesting bike! 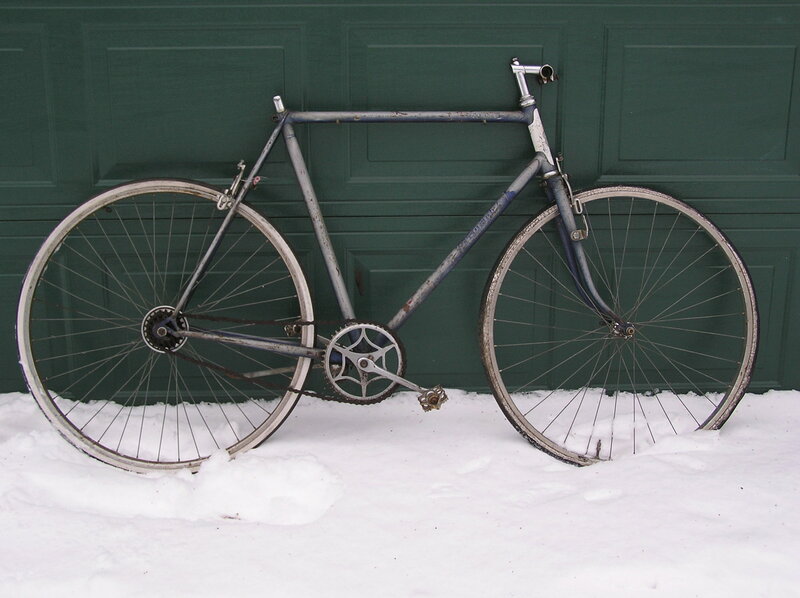 I’m from the Twin Cities area and I happened to notice the add for this bike. Two non revealing pictures buried between a bunch of pics for other random bikes. I thought long and hard about making the drive over there to check it out. In the end, I figured that it would just languish in my shop and never get brought back to life if I purchased it. I’m happy to see it turn up on this forum though. I hope you’ll keep posting and let us know what you do with it. I did a little research and couldn’t find a triumph catalog from that era online, so I don’t know what it originally had on it, or what year it was from. I've been on the lookout for an unusual Triumph, just because of the (perceived only, I know) association with Triumph motorcycles. I've rarely seen a 10-speed Triumph, so I was happy someone hadn't snapped it up already. Sometimes the best deals come from the worst pictures! I certainly plan to share any progress. You're right... nearly a dead ringer, but for the lugs and braze-on shapes. The chainwheel is even identical! I assumed from the FD cable stop (see fourth photo) that this bike was originally built as a 10-speed, so should have a double plateau crank. Not so sure about that, now. Last edited by Hudson308; 12-03-18 at 08:25 AM. 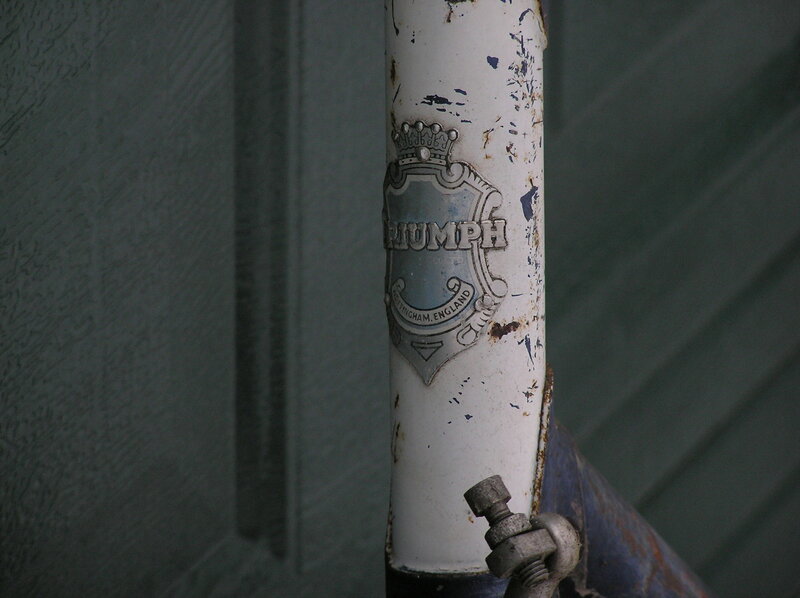 Hub logo looks like Raleigh's "Sir Walter" stamp. With the BB oiler hole, it must be pretty early 60's. I agree with the Gran Sport comparison; looks like the same frame. I've been on the lookout for an unusual Triumph, just because of the (perceived only, I know) association with Triumph motorcycles. 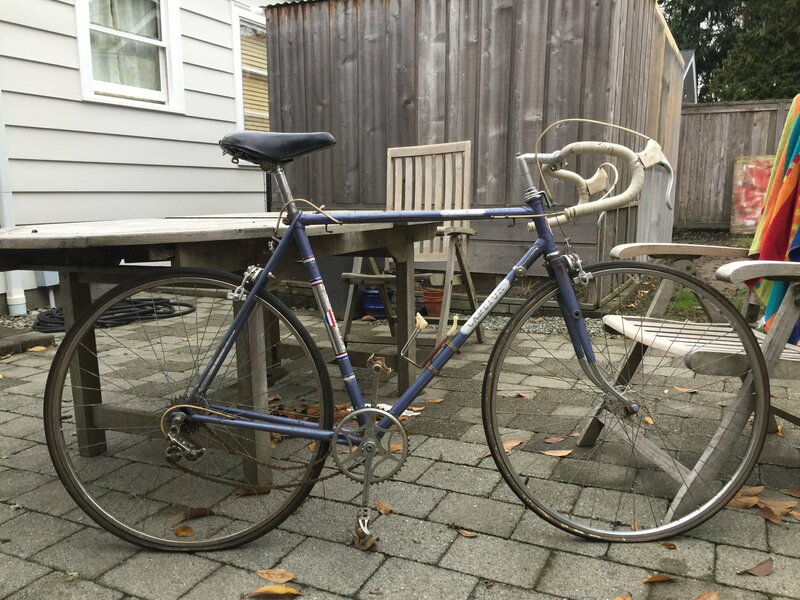 I've rarely seen a 10-speed Triumph, so I was happy someone hadn't snapped it up already. I certainly plan to share any progress. I've seen both 5 and 10 in my searching. My Carlton has the FD cable stop like yours, has Huret shifters for 5spd only. 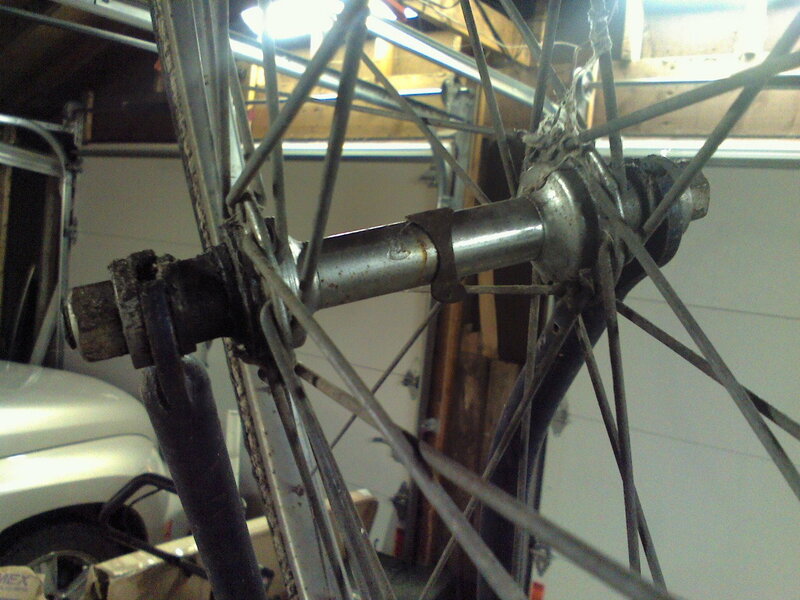 I think that maybe 5 spd may have been a cheaper option of the time. I say this because there is no sign of a FD install. 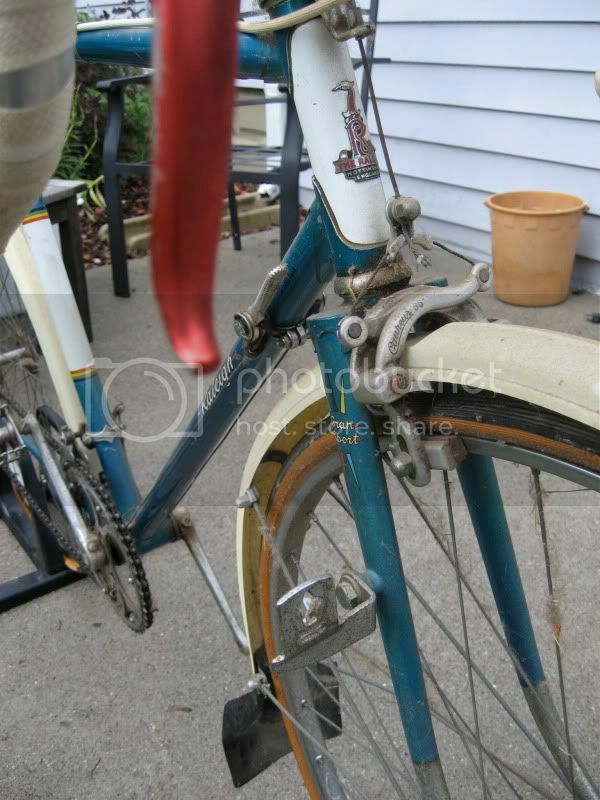 Yes, other than that cable stop there is no sign that a derailleur was ever bolted to the seat tube. Interesting. 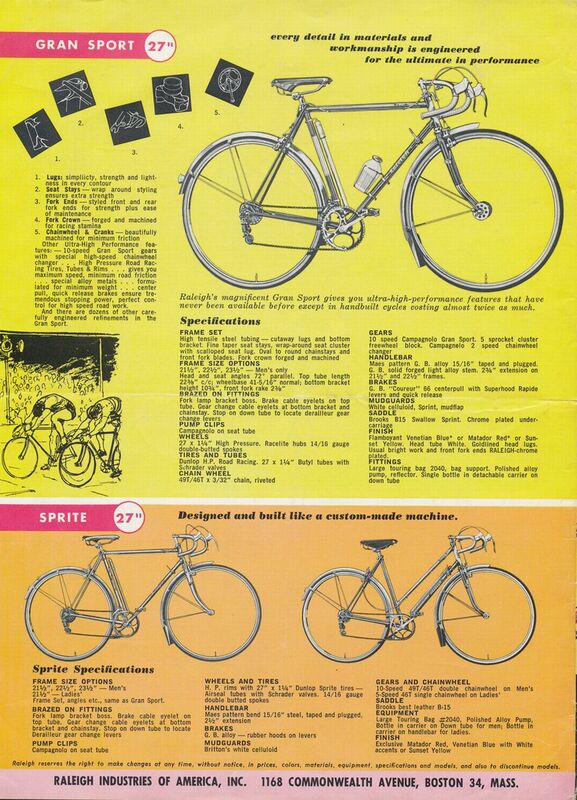 Here's the Gran Sport/ Sprite page from the 1962 Raleigh catalog. Some similarities there, as well as some differences. 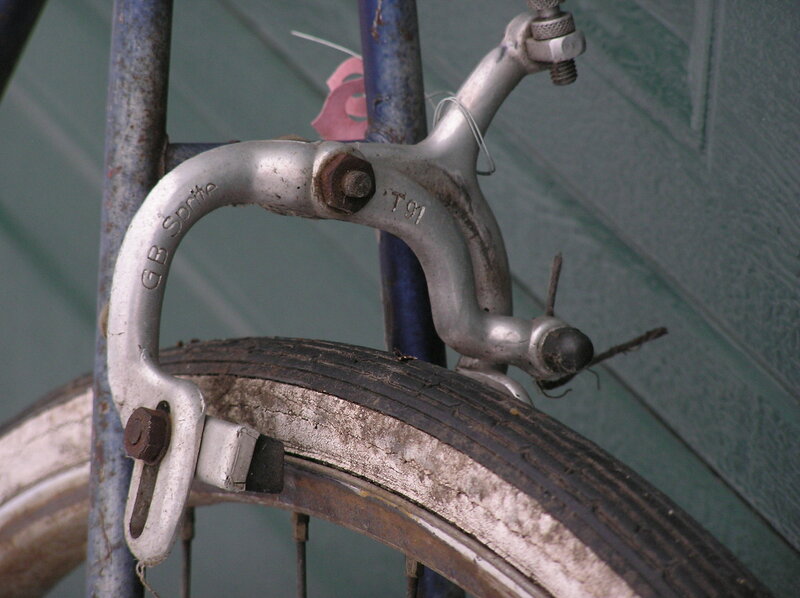 Brakes are indeed GB Sprite, but no "cutaway lugs". 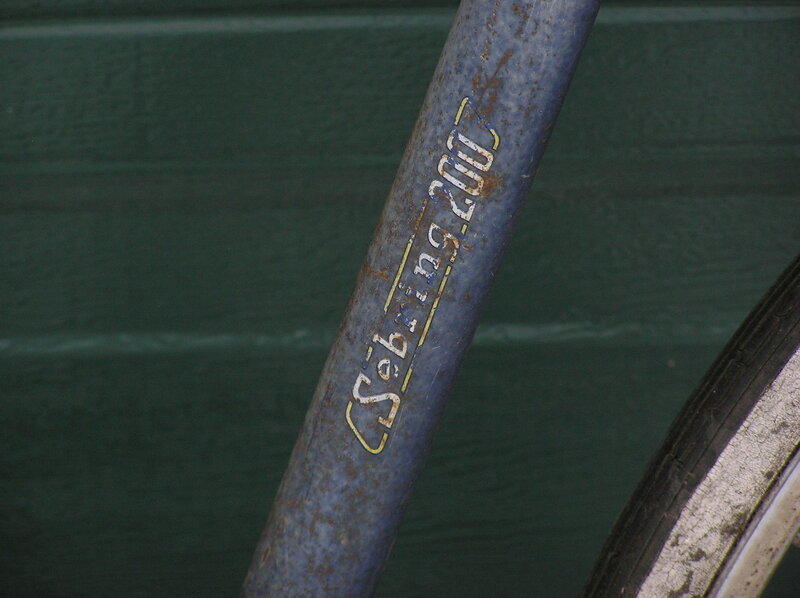 Model designation on the seat tube. 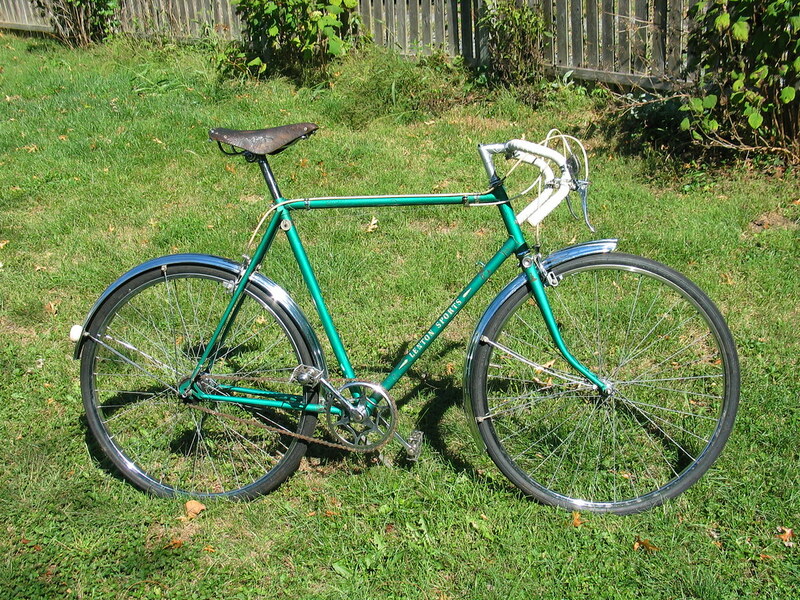 I bought a similar (Raleigh rebrand) Glider with a Huret 5 speed setup. The frame has the FD cable stop but they versioned a lot of bikes for export markets. I'd guess late 60's especially as a Sebring model, the name was in the zeitgeist of that time. Last edited by clubman; 12-03-18 at 09:20 AM. Well, I agree the word "cutaway" leads me to look for something other than what I'm seeing here, but if you look at the lugs on the Gran Sport, either in the photo I posted or in the drawings in the catalog, I think you'll see that they are the same lugs as your Triumph. So this must be what "cutaway" meant to the people that produced that catalog. The decal design looks familiar, but I'm not sure which Raleigh model name I'm thinking of. It seems to be a later 60's style, as @clubman suggested, but the oiler hole in the BB shell suggests something earlier. What's the serial number? 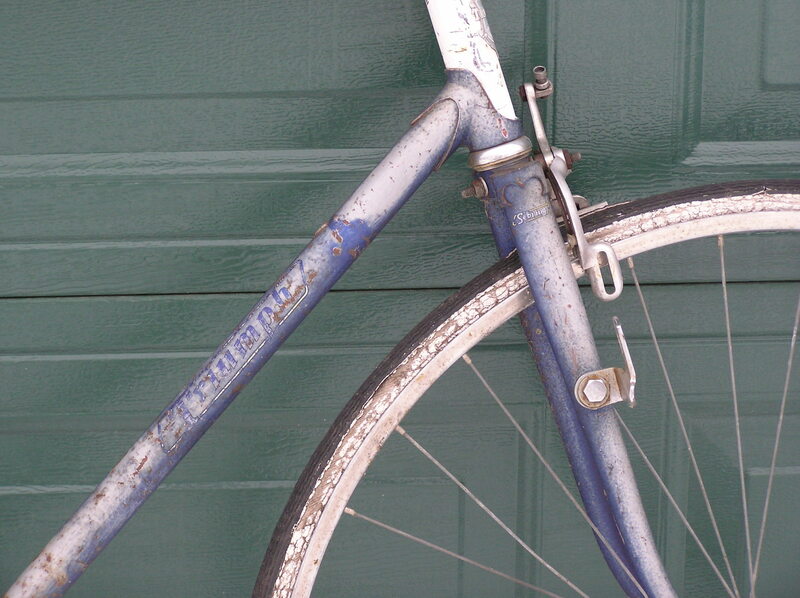 It is probably a conventional Raleigh serial number, and it might tell us something. Last edited by rhm; 12-03-18 at 09:57 AM. Serial number is DE 57xxxN, stamped on the bottom of the BB shell. Nothing definitive looking at Kurt Kaminer's site, although you could infer a variation of his '55-64 convention if you turn your head sideways and squint. Last edited by Hudson308; 12-03-18 at 10:20 AM. I just don't see many 10 -speeds of any make from the 50's or earlier. 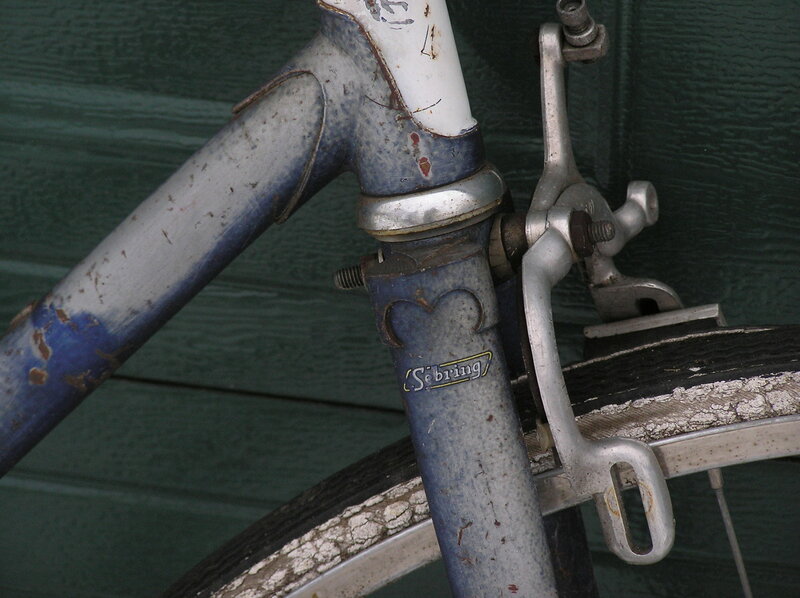 And that is exactly what attracted me to focus on older road bicycles, those, in particular of pre-seventies vintage. Great find and great project. Best of luck with that nice old bike. I can't add anything as I'm ignorant of road bikes from that era. 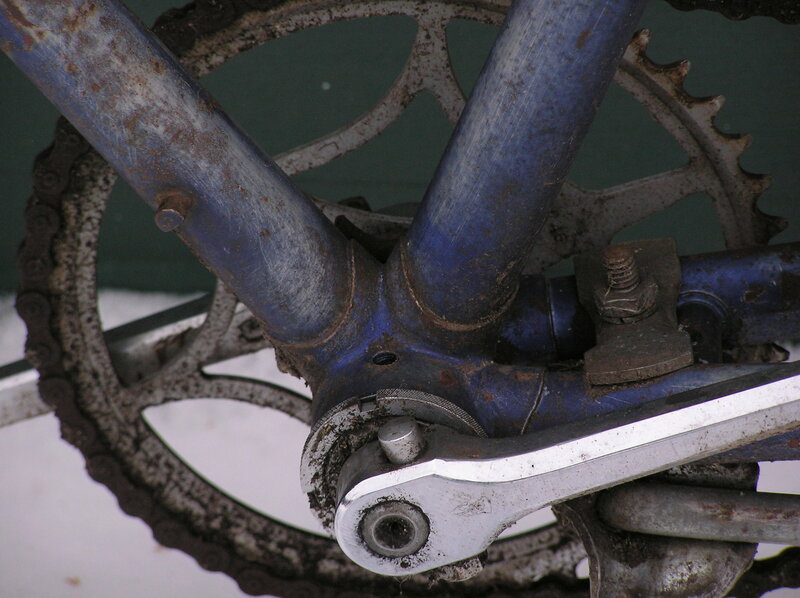 But, this is the second bike I've seen here in the last week with a bracket on the right fork leg, both were British. Is it for a headlight ? Yes precisely, or a "lamp" as the Brits would call it. 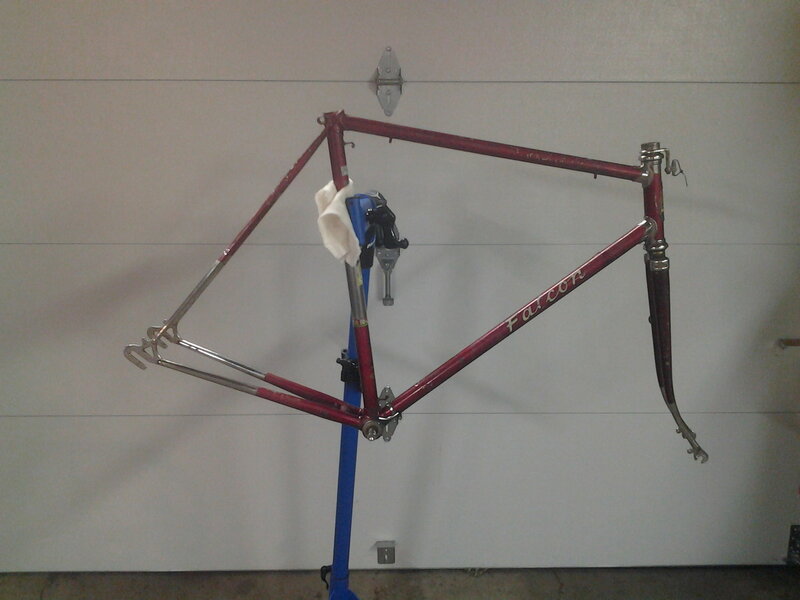 I've also got an old Falcon frame with the boss on the left leg, obviously for export (North American) market. That front caliper certainly appears a longfellow! That caliper abaft is also capable of long reach. 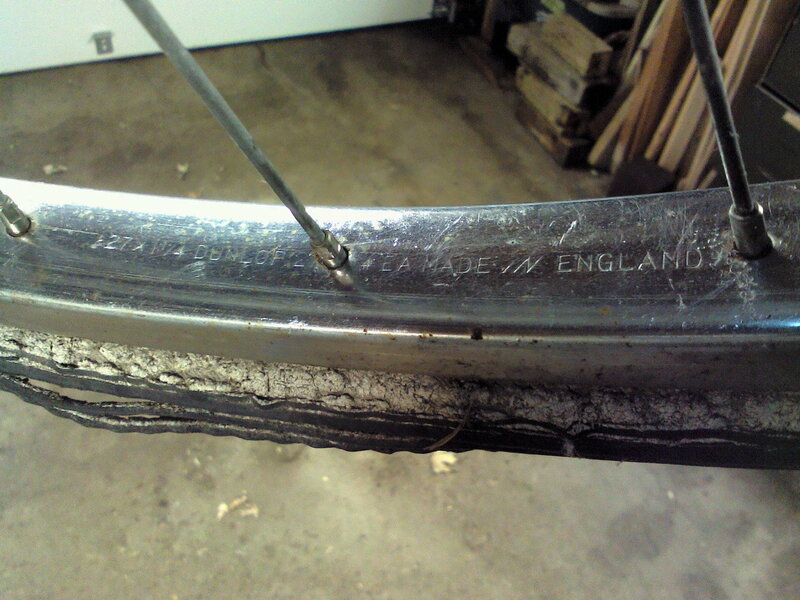 Not surprising, as 27" clinchers weren't highly thought of back then. Even if they were Goodyear whitewalls! Please keep us posted as you begin work with this. Look forward to following along. You need to bring this bike to the ABCE (All British Cycle Event** next September in New Brighton. We would love to see it in person & it would be a big hit.